You will search loong & hard before finding another home with the natural beauty this one has to offer with it woodwork, floors & fireplaces! Being a Nice 2 Story 2 – 3 Bedroom, 2 Full Updated Bath home with some updated windows and a NICE back yard! The home’s rear alley 2 car garage has alley access, concrete floor and electric service. 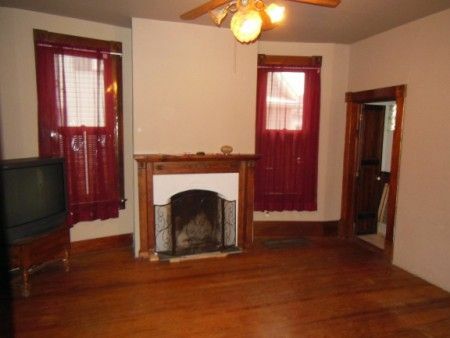 Home offers Beautiful Natural Wood Work and Floors mostly throughout! Living Rm. With a VERY VERY UNIQUE Ceramic Tile Faced, Mission Oak mantle with period built in clock! You cannot find this quality of craftsmanship in today’s world let alone have the opportunity to buy a home with a living room you will be proud to have company in over and over again! Family Rm. has yet another beautiful fireplace with Oak Mantle; Full updated 1ST Floor Bathroom with ceramic tile floor and walk in shower with dual seats; Eat-In Kitchen with floor to ceiling top & bottom cabinetry & built in dishwasher; Bonus Room/Mud Room with updated windows, drywall and laminate flooring with rear access; 2 Natural Finished Woodwork staircases lead to the 2nd Story with Bedroom with closet and ceiling fan; 2 Bedrooms with shared walk –in closet and one with built in shelving previously utilized has clothing storage; 2nd story full updated bathroom with shower over tub. Partial Basement with crawlspace, home equipped with updated 200 AMP breaker box, New in 2007 Electric Furnace, Heat Pump with Central A/C, Hot Water Tank, City Water/Sewer! Real Estate Terms: Min. 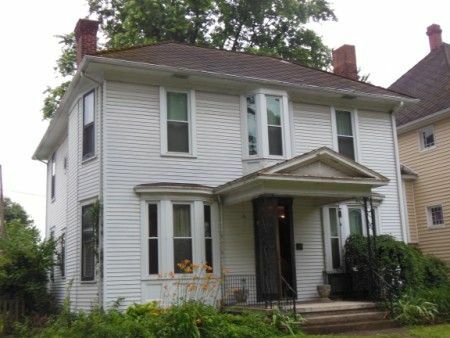 Bid $10,000; $3,000 down at time of sale cash/check with positive photo ID; Balance/Possession upon delivery of deed, offered free & clear prior to closing on/before August 31st 2014; Sold As-Is; No Buyer’s Contingencies Exist. All information provided is to be utilized strictly as a guide. Buyers are relying solely on their own independent inspection, examination, inquiry, investigations and due diligence regarding to the purchase of this property. No liability exists regarding the information contained in any printed matter for its accuracy, errors or omissions. Taxes & Legal: Ross Co. Auditor reports net annual tax: $1,176.44; Parcel No. 305511036000; Vol. 352, Pg. 2006; Lot Size 35 x 160; Scioto Township.